In the summer we cook steaks on the grill. We do it in the winter too, usually. But this winter the snow and cold has made cooking outside impossible so this is a great way to get your steak fix indoors. Sirloin steak is diced into quick-cooking cubes and seared in a pan while asparagus and shiitake mushrooms roast in the oven. Then the steak is coated in miso butter for a rich and tasty sauce. Served over rice this makes a wonderful, meaty meal. This recipe comes from Cooking Light. 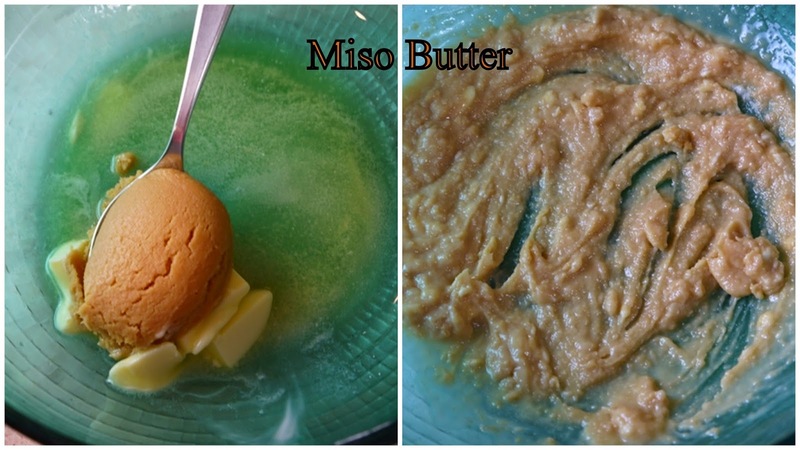 You should be able to find miso paste in any large supermarket or Asian market. Look for white or yellow soybean paste in a plastic tub on the shelf. Refrigerate after opening and it lasts for months. For the vegetables, preheat the oven to 425 degrees. Trim the tough ends from the asparagus and slice the mushroom caps. Toss with a tablespoon of oil and sprinkle with salt and pepper. Roast for 10 minutes and drizzle with soy sauce before serving. For the steak, combine the softened butter and miso paste in a large bowl and set aside. Cut the steak into bite-sized pieces, about 1-inch. Heat oil in a large pan and cook steak pieces for about 2 minutes per side until browned but still pink inside. Toss hot steak with miso butter. Toss hot cooked rice with rice vinegar and sesame oil and serve the steak over the rice with the vegetables on the side. This makes a very quick and easy dinner for a weeknight.